Adaptor Kit - Fit any bike seat on your exercise bike! Universal Adaptor Kit. New Patent - Made in USA. Purchase an Adaptor Kit with your seat of choice! 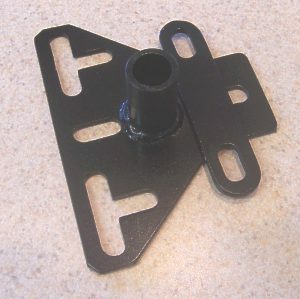 Need a 3 bolt hole adaptor? Doesn't match at all? We'll make a custom adaptor for you. Unsure if the Universal Adaptor Kits will fit your exercise bike? Give us a call! We would be happy to help you determine which Adaptor Kit you need.